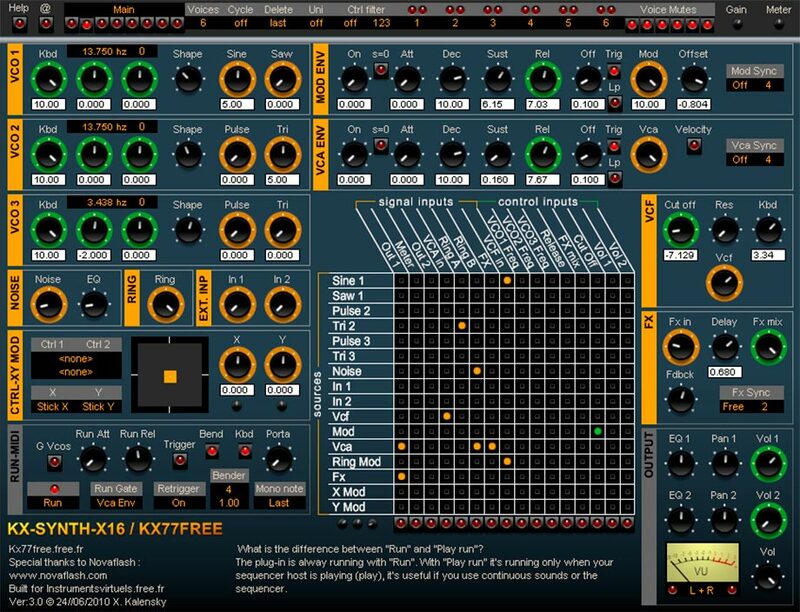 KX77 FREE Plugins VSTi-VST WINDOWS…KX77 nos ofrece una serie de plugin VST de forma totalmente gratuita, entre ellos podemos encontrar diversos sintetizadores modulares, como el Kx-PolyMod, Kx-PolyM-CSE y Kx-Modulad, se trata de unos sintetizadores que podemos ampliar según nuestras necesidades, ademas encontraremos algunas creaciones de interés en su página web. En la página web de KX77 vamos a encontrar un total de 18 sintetizadores VSTi compatibles con sistemas de 32bit y 64bit, algunos actualizados recientemente con fecha de Marzo de 2018. I have been programing synthetizer presets for many years. The VST plug-ins that I propose are a series of instruments that use evolved subtractive synthesis. They are not simply a numerical emulation of vintage keyboards. With the KX77FREE plug-ins, the musician is not limited to the vintage sounds. The modular structures of the recent KX77FREE plug-ins are more advanced. They permit to create more acoustic sounds and also fat pad sounds. 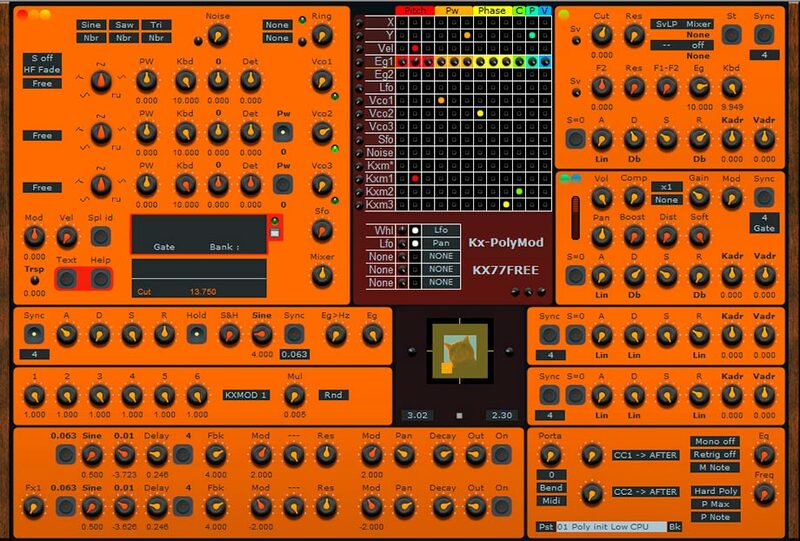 The KX-POLYM-CSE and the KX-SYNTH-X16 presets are really more 70’s but you can modifiy them for your music.Kx-PolyM-CSE is a vintage modular polyphonic synthesizer with CV/GATE sequencer, Up to 16 voices, Matrix and a Yamaha CS70M emulation. La entrada KX77 FREE Plugins VSTi-VST WINDOWS se publicó primero en Audio4DJ.